June 21, 2017 by Nils Oudhuis . How to apply the Biopsychosocial model to runners? 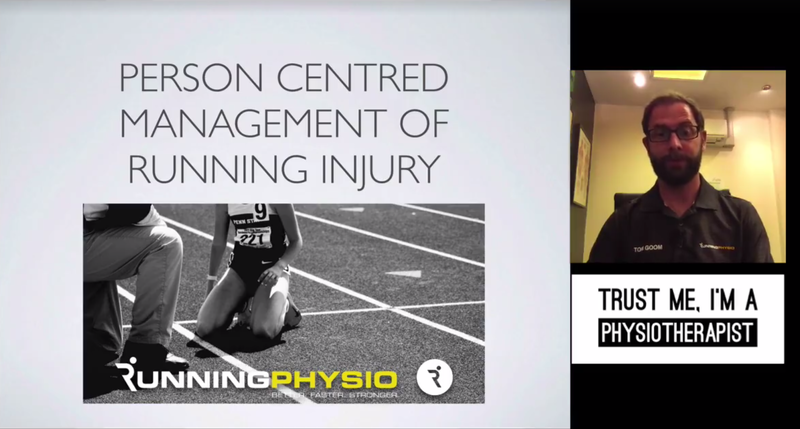 Great free webinar by Tom Goom about a person centred approach for the management of running injuries! Very good information for all physiotherapists, which you can use immediately in the clinic! He shows how to apply this via a case study of a runner. Check out the resource page, where he refers to in this webinar.